1. 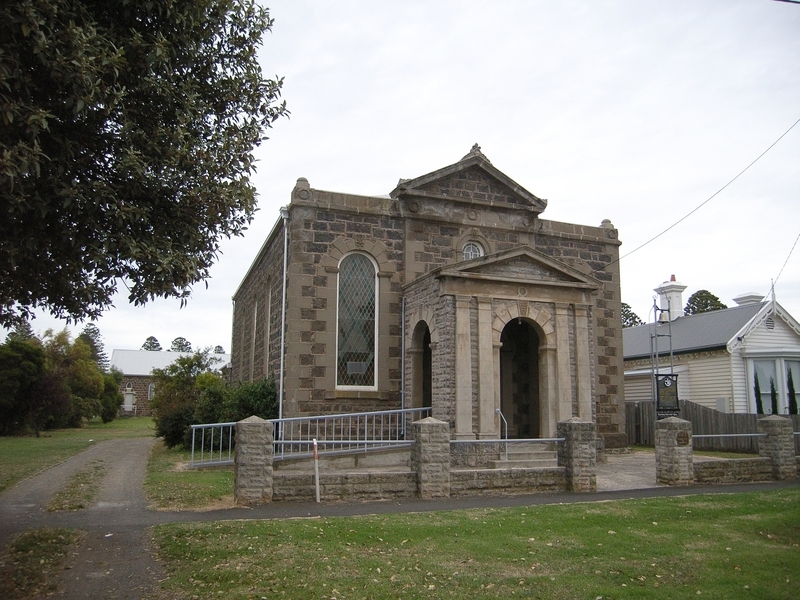 The former church (1855), parsonage (1899) and common school (1870) are significant as an important Wesleyan Methodist church complex in Victoria. 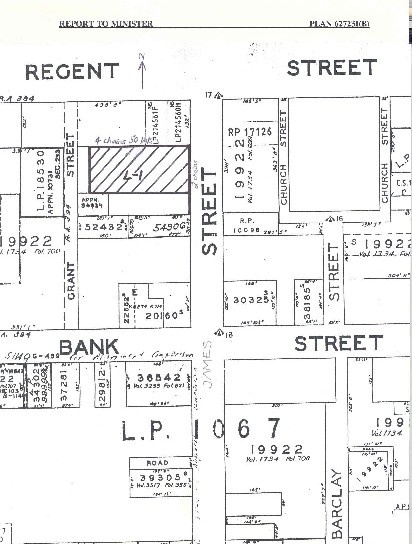 The common school was used continuously as a Sunday school from its establishment in 1870. 2. 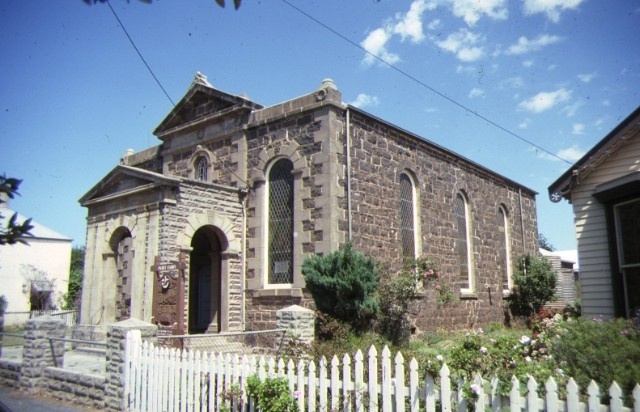 The complex is also important as one of an exceptionally fine group of nineteenth century ecclesiastical buildings still extant in the important western district township of Port Fairy. 4. The church displays a most distinctive design derived from Greek and Georgian architectural traditions. It has notable features including the exceptionally fine carvings of William Witton, described in 1894 as "an artist in stone-work unequalled in Australia. '. 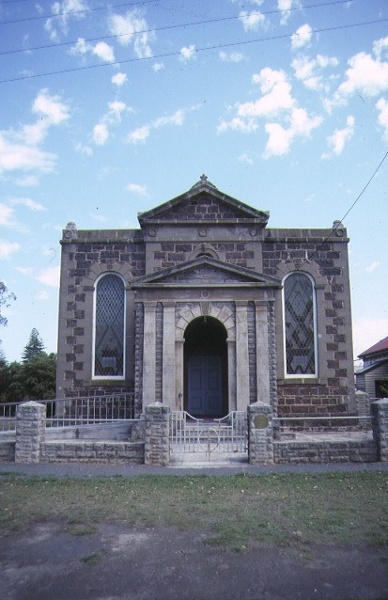 These carvings in the 1855 bluestone church include a bust of Wesley in the upper facade, a large scallop shell in the lunette over the door and delicately ornamented keystones to the front window. 5. The church, parsonage and school retain exceptional architectural integrity. 6. 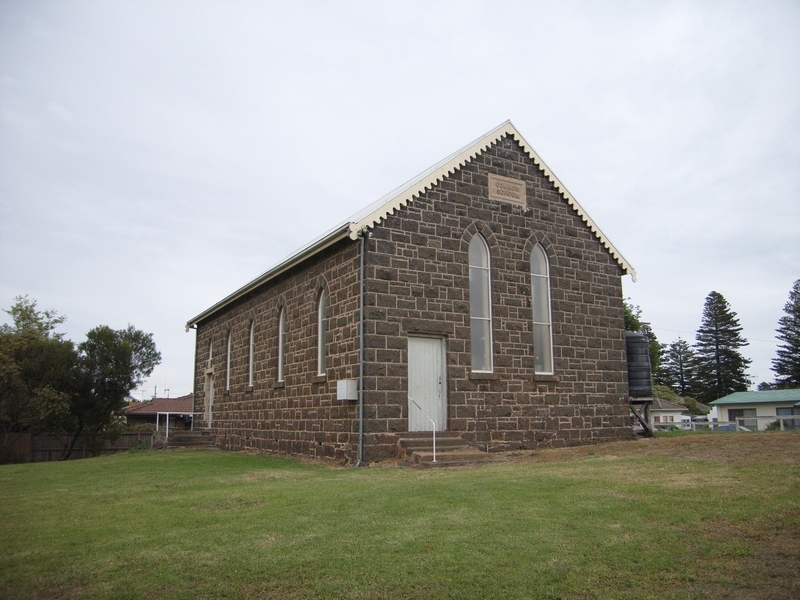 The former common school building at the rear of the church complex has been used from the beginning, at least partly, for Sunday school purposes, and is an unusual example of common school design in Victoria. Its dimensions and ornamentation make it superior to the typical examples which were generally plain with a "jail-like" appearance. It remains one of the last surviving common schools in Victoria. 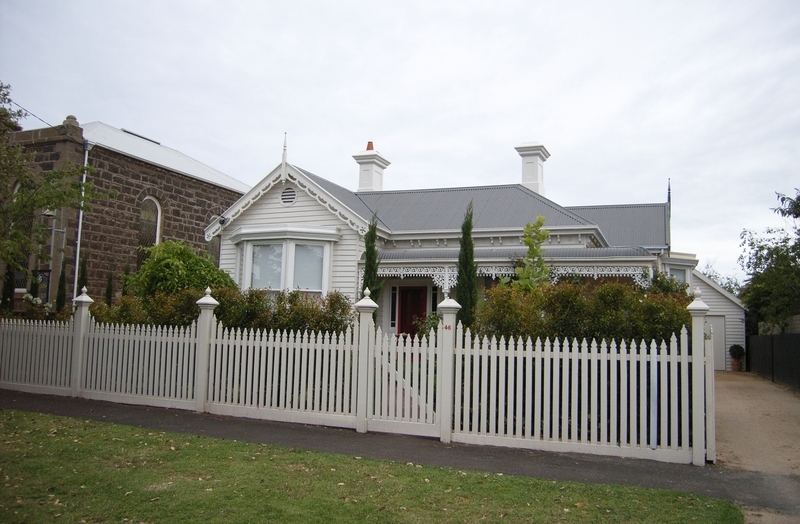 Former Wesleyan Methodist Church, Parsonage and Common School, James Street, Port Fairy. 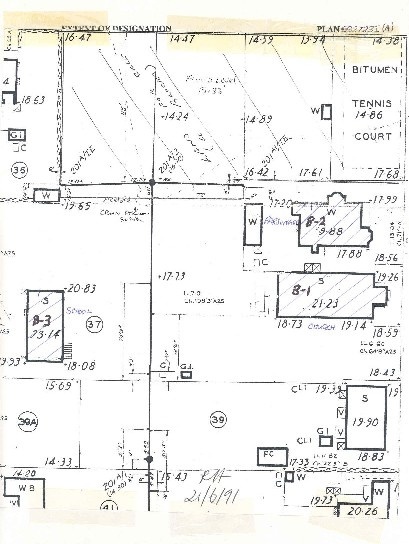 (2) the land marked L-1 on Plan 862723I(B) being all the land described in the Registrar-General's Office Book 68 Memorial 156 and vested in the Uniting Church in Australia Book 818 Memorial 992.